Is it naptime yet? When’s bedtime? I’m so tired! Parents, however, know all too well how desperately their children need to settle down, stretch their bodies, rest their weary heads, and sleep. They know, too, that reading picture books — especially gentle, calming picture books — aloud together is one of the very best ways to help children be at peace with their impending bedtimes. Understanding just what a blessing a well-loved storybook can be to frazzled parents and their sleep-resistant offspring, we’re pleased to introduce a wonderful, whimsical new celebration of sleepy time from Eerdmans Books for Young Readers: The Big Book of Slumber, written by Giovanna Zoboli and illustrated by Simona Mulazzani. Hushaby, lullaby, pillows and sheets. Cozy young fox is all warm, but her feet. only old owl guards them all in the dark. All creatures of the world find time to rest. 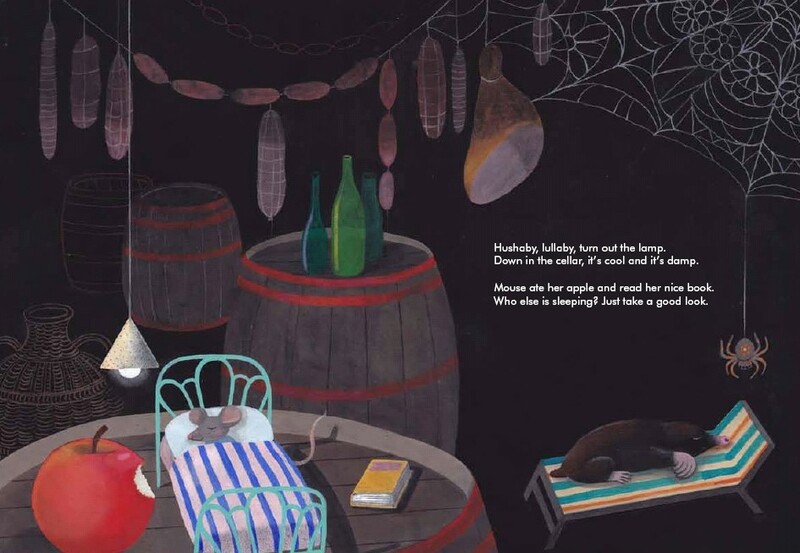 And in this charming lullaby book from the creative team behind I Wish I Had . . . , countless cozy animals settle down in their beds. Bears lie under their blankets, the fox snuggles beneath a tree in the light of the moon, and the monkey tucks his banana close beside him. Hushaby, lullaby, turn out the lamp. Down in the cellar, it’s cool and it’s damp. Mouse ate her apple and read her nice book. Who else is sleeping? Just take a good look. 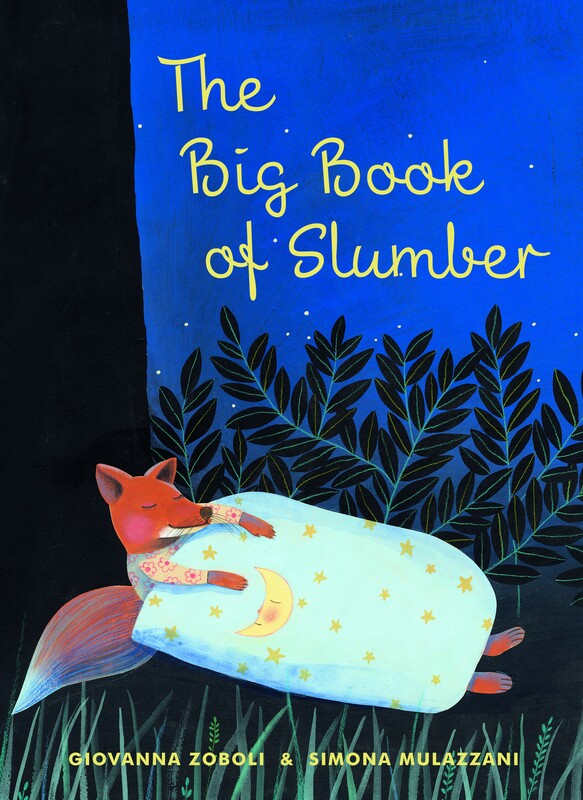 This brilliant pairing of author and illustrator brings us a vibrant yet elegant bedtime book that is sure to enchant young readers — and their exhausted parents — as they drift sweetly into their own dreams. Click to order The Big Book of Slumber, written by Giovanna Zoboli and illustrated by Simona Mulazzani.